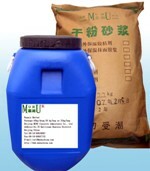 Acrylic Elastomeric Waterproof Coating - MUHU (China) Co., Ltd. It is a single pack, high build, flexible, elastomeric waterproof coating based on weather resistant pigments, fillers and styrene acrylic ester resins. It allows concrete to breathe whilst maintaining waterproofing characteristics, has excellent bond strength and fills and bridges hairline cracks. The cured membrane provides excellent resistance to carbonation and prevents chloride ion ingress. Water vapour transmission : < 1 Perm Chemical resistance :Resistant to spillage of gasoline, diesel, sewage, weak acids and alkalis. Used as an external and internal coating for concrete and masonry. Used as an Anti-carbonation coating. Used as a protective coating for sea walls and coastal environments. Waterproof, weatherproof, excellent UV resistance. High build coating helps mask surface imperfections in concrete. Seamless & flexible for bridging hairline cracks. Single component. Easy to apply by brush, roller or airless spray. Surface Preparation: Ensure that surfaces are clean, sound, stable and free of dirt, dust, grease and any other contaminants. Remove any traces of algae and fungal growth with a wire brush, treat with a fungicide solution and wash down with clean water. Old concrete may require grit blasting to remove old coatings or membranes. New concrete can be coated once the initial water-curing period is over (approx. 7 days). Application: Apply it onto the surface in one direction taking care not to scrub the material or brush unevenly. Allow to dry and inspect for imperfections that should be made good prior to application of second or any subsequent coats. Apply second (and any subsequent coats) at right angles to the previous coats. Cleaning : Wash tools with water immediately after use. If product has set, remove with a knife and immerse in water. Consumption of TufGuard AC will be around 4 to 5 m2/ litre @ 200 micron DFT depending on the substrate’s texture, porosity, ambient temperature, etc. Do not apply Acrylic Elastomeric Waterproof Coating when rain is likely as full resistance is only achieved in the fully cured state. Acrylic Elastomeric Waterproof Coating is supplied in 20 liter & 180 kg units and it has a shelf life of 12 months provided it is stored under cover, out of direct sunlight. Acrylic Elastomeric Waterproof Coating does not fall into the hazard classifications of current regulations. However, it should not be swallowed or allowed to come into contact with skin and eyes. Suitable protective gloves and goggles should be worn. Splashes on the skin should be removed with water. In case of contact with eyes rinse immediately with plenty of water and seek medical advice. If swallowed seek medical attention immediately – do not induce vomiting.